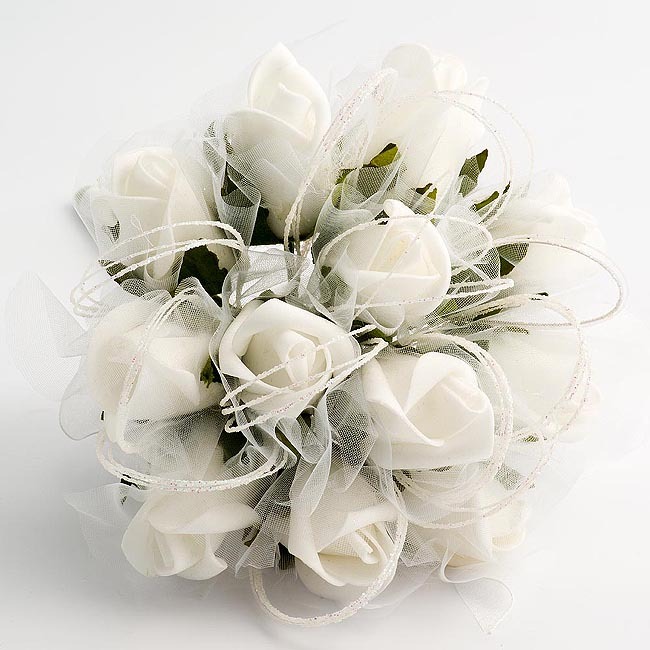 This stunning white shimmer bouquet features high quality White poly foam roses with organza ribbon and green leaves and is finished with shimmer loops that catch the light. This bouquet is also ideal for bridesmaids. Ideal for wedding at home or abroad this beautiful posy style bouquet is excellent value for money and great to have as a keepsake of your special day.